What types of government are there in the world? – Idiot’s Questions? Why does water remain cold in an earthen pot? Why is the walrus nicknamed “tooth walker”? There are three general forms of government, based upon who rules: (1) those governments in which the authority is placed in one single person, (2) those dominated by several people, and (3) those controlled by many. In some nations, governing is done by a single individual, such as a king, queen, or dictator. This form of government is known as an autocracy. An autocratic government is called an oligarchy if a small group, such as landowners, military officers, or wealthy merchants, make up the government. If the country’s people make up the government and contribute to its decision-making process, that nation’s government is known as a democracy. There are also several ways in which governments do their governing. Limited governments, such as the United States and most countries in Western Europe, are known as constitutional governments, since these governments are limited as to What they are permitted to control. In other words, they have limited power, and this limited power is enforced by a separation of powers. 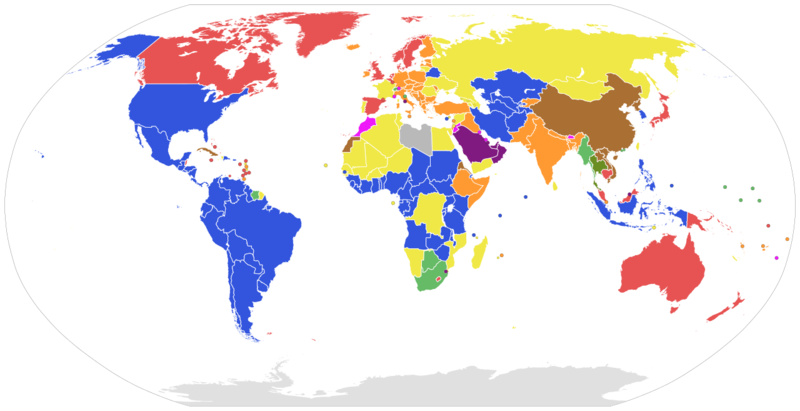 Most of these nations have constitutions that define the scope of governmental power. In contrast to a constitutional government, a government is called authoritarian when it has no formal limits; the government is limited by other political and social institutions in the land—such as churches, labor unions, and political parties. While these governments are sometimes responsive to these sources of limitation, there is no formal obligation for the government to represent its citizens. Examples of recent authoritarian governments include Spain from 1936 to 1975 under General Francisco Franco. Totalitarian governments attempt to control every area of political, economic, and social life and are usually associated with dictators who seek to end other social institutions that might challenge the government’s complete, or total, power. Some examples of totalitarian governments include Nazi Germany from 1933 to 1945 under dictator Adolf Hitler, the Soviet Union from 1928 to 1953 under dictator Joseph Stalin, and Cuba from 1959 to 2008 under Fidel Castro. Previous Previous post: What was the Challenger disaster? Next Next post: Why do we need to follow the law?